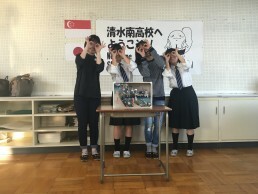 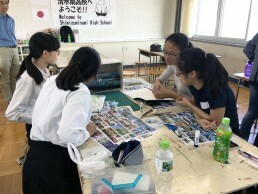 Shizuoka City Tokaido Hiroshige Museum of Art is focusing on student workshops to introduce the importance of Ukiyo-e print to young people in Japan and abroad. 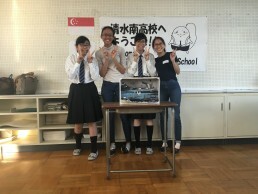 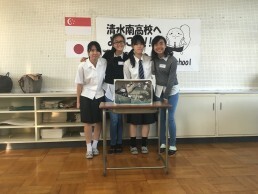 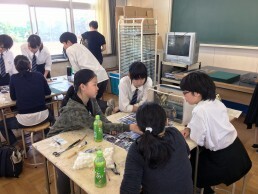 The workshop has been organised annually for the students who are studying art in Japan and Singapore. 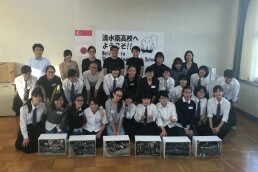 It took place at Shizuoka Prefectural Shimizu Minami High School this year. 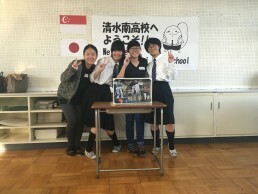 In the workshops, students who have different culture in Asia will share time by working together and also, will exchange & develop their idea to come up with something new that will be an inspiration in their future. 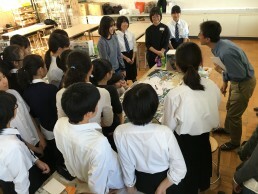 We are hoping it will also lead to the network between the students even after the workshop. 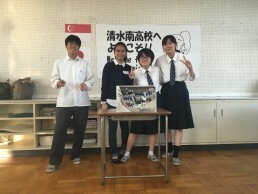 The 6 works show new landscape of 6 stages of Tokaido Road in Shizuoka City, created by the students from Shimizu Minami High School and School of the Arts Singapore. 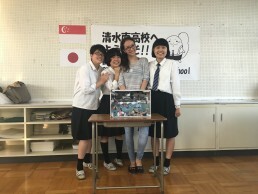 It’s a 3D collage work based on the Ukiyo-e prints – “The Fifty-three Stations of Tokaido Toad” by Hiroshige Utagawa and using characters & images of daily life in modern time. 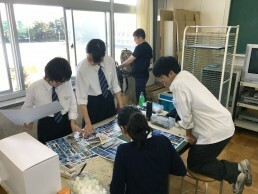 It made up a magical scenery by the students’ awareness of their background.